Mount Si is located near the city of North Bend in Washington state. It is one of the most popular hiking destinations during the summer months. If you choose to go, embarking on weekdays and mornings will allow you to avoid most of the crowds. The landscape and views are incredible, especially considering its proximity to Seattle and other cities. The hike is relatively strenuous and rises several thousand feet over the course of 4 miles, but the climb is well worth it. On clear days Rainier and other mountains are visible in the distance as well as full views of the lowlands all around the mountain. The forests are rich and vibrant and feel mystical and enchanted. It is wonderful getting up the trail a ways as the drone of the freeways and city life all drop away leaving you in a wonderfully quiet and serene setting. Definitely worth checking out if you are in the area. Forest on Mount Si near North Bend, WA. Trail near the top of Mount Si. Nearing the top of Mount Si near North Bend, WA. Mountain Goat with a kid on Mount Si. Looking out across the lowlands from Mount Si in Washington. Andy at the top of Mount Si. 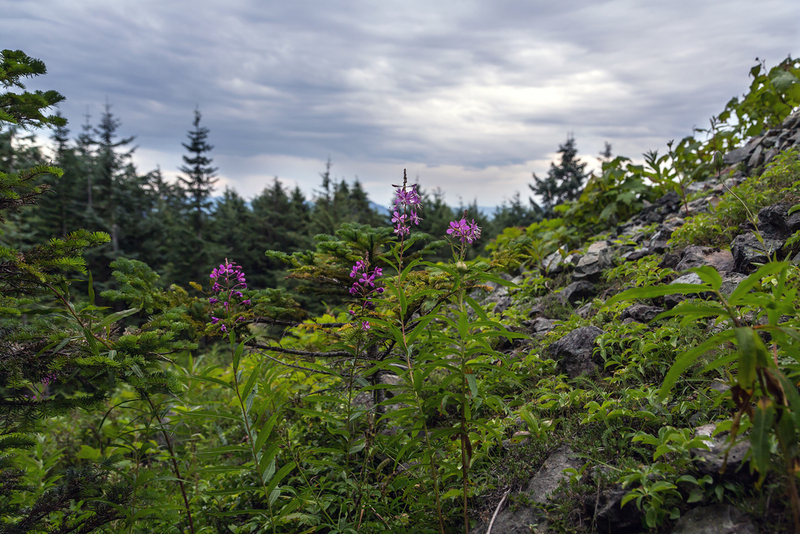 Wild flowers and plants on Mount Si. View from the top of Mount Si. 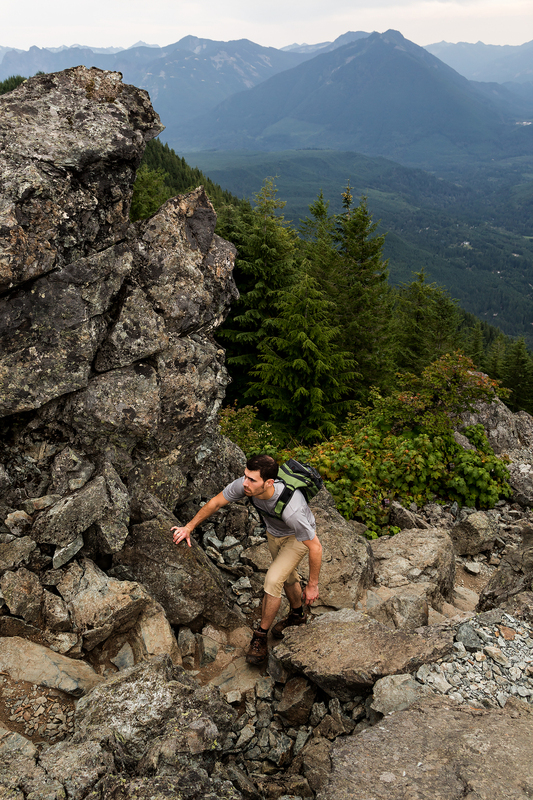 Descending off of Mount Si. Down the trail on Mount Si.